What is Endometriosis? - Endometriose Vereinigung Deutschland e.V. On this site we explain in plain language: What is endometriosis? Severe menstrual pain, fatigue, unwanted childlessness? 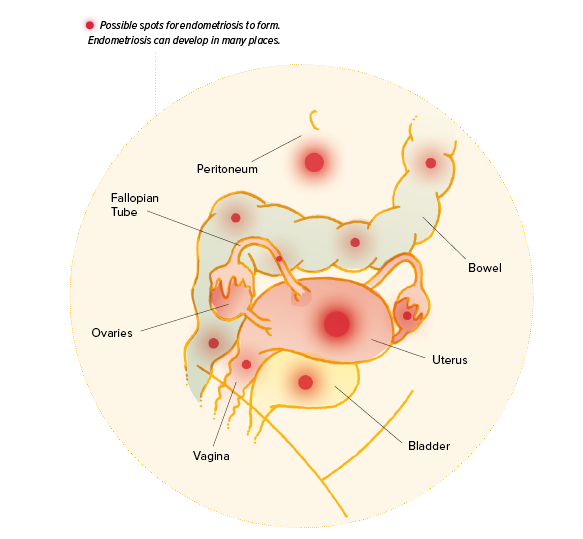 Severe menstrual pain can indicate endometriosis. If you feel strong pain in your (lower) abdomen, contact your doctor. Reason: endometriosis is a disease and has to be treated medically. Other words for menstruation are also: cycle or period. Endometriosis makes tissue grow where it doesn´t belong. For example outside the uterus. The tissue can inflame. This can be very painful. Sometimes these inflammations can also start to bleed. Some women with endometriosis can´t get pregnant. If you have such pain, contact your doctor! Some doctors know a lot about endometriosis. You will find addresses of experienced doctors here. You can also find further information in German here. We can give you advice. Our counsellors are well educated. How do I cope with endometriosis? We provide counselling by phone. We provide counselling via e-mail in English. Our counselling service is for free. Our counselling by phone is in German. Women with endometriosis can support each other in self-help groups. Women can meet and talk to each other in self-help groups. You can find self-help groups all over Germany on our homepage. Endometriosis can strongly differ from case to case. 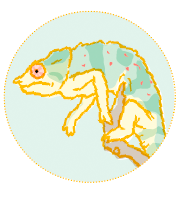 That is why it is also called the chameleon of gynecology. It was established by women with endometriosis more than twenty years ago. We support women with endometriosis all over Germany. This Information is written in plain language. We have further information on endometriosis in German. This information is not written in plain language. We have a flyer in English. This Flyer explains endometriosis.